When Blanche of Castile died, her son Louis IX of France had to spend some time at home in France getting things organized. But then Louis’ youngest brother Charles encouraged him to try another Crusade. 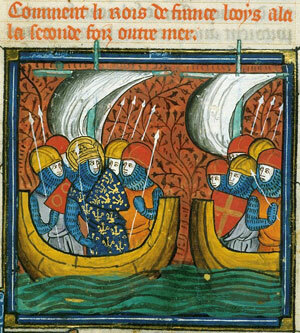 The Seventh Crusade, which Louis led, had ended in failure in 1254 AD, so in 1270, when he was 56 years old, Louis tried again. 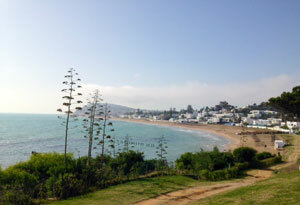 This time, the Crusaders attacked the Hafsid kingdom in Tunis. They said they wanted a base in North Africa from which to attack Jerusalem. But also the Hafsids had been paying tribute to the old king of Sicily, and now that Charles was the new king of Sicily, they had stopped. Charles (and Louis) wanted them to start paying up again. Unfortunately when dysentery struck his camp, Louis himself died of it. Charles arrived in Tunis later that same day. He led a few small battles, and the Hafsid sultan Mustansir agreed to start paying tribute again. Then there was a storm, and more Crusaders caught dysentery. So the Crusaders went home. That was the end of the eighth and last Crusade. Charles was the only winner: he got to have a lot of power over his nephew Philip III, and therefore over France. Cite this page: Carr, K.E. Eighth Crusade – Medieval Europe. Quatr.us Study Guides, August 3, 2017. Web. April 23, 2019.